SKK Chronos Ace+ Is Now On Sale At Lazada, Crazy Low For A 2 GB RAM Phone At PHP 1999! 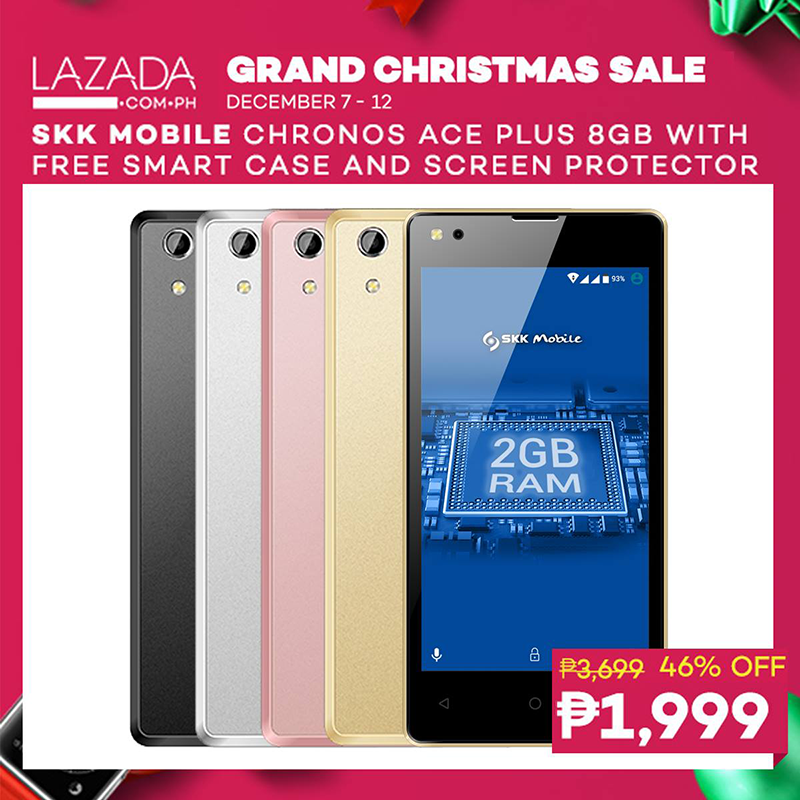 Home / mobile / news / skk / SKK Chronos Ace+ Is Now On Sale At Lazada, Crazy Low For A 2 GB RAM Phone At PHP 1999! One of our most recommended ultra budget smartphone this year is SKK's Chronos Ace+. Why? It's the most affordable phone with 2 GB of RAM for better multiasking at PHP 2,699 and this handset is equipped with a good 13 MP f/2.0 main camera for casual your photography. SKK Chronos Ace+ Lazada sale! Related: SKK Chronos Ace+ Review - The Sub 3K Phone To Beat? The good news is, SKK Mobile included this handset at Lazada's ongoing Grand Christmas sale! From the regular SRP of 2,699, its now on a super hard to resist price tag of just PHP 1,999! On top of that, it goes with a FREE smart case and screen protector. Crazy deal right?